Drain the tuna and rinse. In a large bowl, mix until well combined the tuna, mayonnaise, yogurt, relish, mustard, celery, onion, parsley, salt, and pepper. Put in the refrigerator during the tomatoes preparation. Prepare the tomatoes by cutting their tops. Then, remove seeds and core in order to form a bowl. 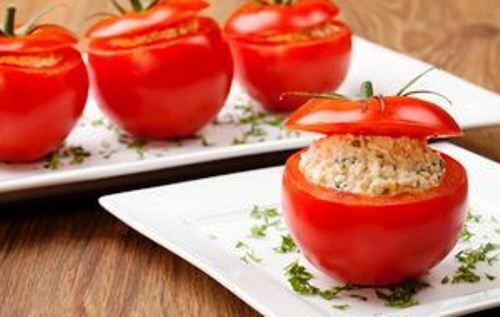 Fill in each tomato with the tuna mixture.